There are many milestones in a person’s life. Some of the earliest get forgotten, especially the physical changes as your body grows and changes. If you have young children who have begun teething or you are anticipating the arrival of their first teeth, it can be useful to understand your children’s dental milestones. That way you can make the process, progress and discomfort as easy as possible on your kids and yourself. If you need pediatric dentistry in Calgary, Abougoush Family Dental Clinic has a team trained to care for patients of all ages. 1.Baby Teeth Eruption – These primary teeth can be a real pain for babies and parents. If your child has teeth erupting and they are suffering, you can rub their gums with a clean finger or a small, cool spoon to ease the pain. Visit your dentist if this gentle pressure doesn’t offer them any relief. Avoid using a topical painkiller on the gums and teething biscuits. Never ignore the development of a fever. 2.Brushing, Bottle-Feeding and Thumb-Sucking – Once baby teeth have emerged, you can start helping and teaching your child to take part in a regular oral hygiene routine. Baby teeth protect your child’s jaw development, so monitor bottle-feeding and nutrition, and thumb-sucking which can cause deformed teeth and jawbones.If you have questions or concerns about these or other issues as your child’s teeth, jaw and gums develop, feel free to call Abougoush Family Dental Clinic to find out more. 3.Permanent Teeth – Your child will start to lose their baby teeth around age six or seven as their adult or ‘permanent’ teeth begin to come in. Encourage your children to allow their baby teeth to fall out when they are ready – do not pull with excessive force. It is completely normal for permanent teeth to appear more yellow than baby teeth. If you notice a major difference in the colour of your child’s tooth or teeth, ask your dentist in Calgary to take a look during your next appointment. 4.Braces and Wisdom Teeth – During the teen years, you will want to remind your child of the connection between their mouth and the rest of their body. They may require braces or other orthodontic work to get a straight smile and aligned bite. Most children will not have enough space in their jaw for their wisdom teeth, which will begin to erupt during the teen years. Monitor these third molars and ask your dentist to refer you to an oral surgeon if necessary. Abougoush Family Dental is currently accepting new patients and would love to provide dental services for your entire family. Whether your children are still finishing their oral health development or you require cosmetic dentistry, we offer a wide variety of dental services. From emergency dental treatment to routine checkups, you can count on our office for all of your growing family’s oral health needs. Visit our Calgary family dental clinic today to support your children’s developing oral health. 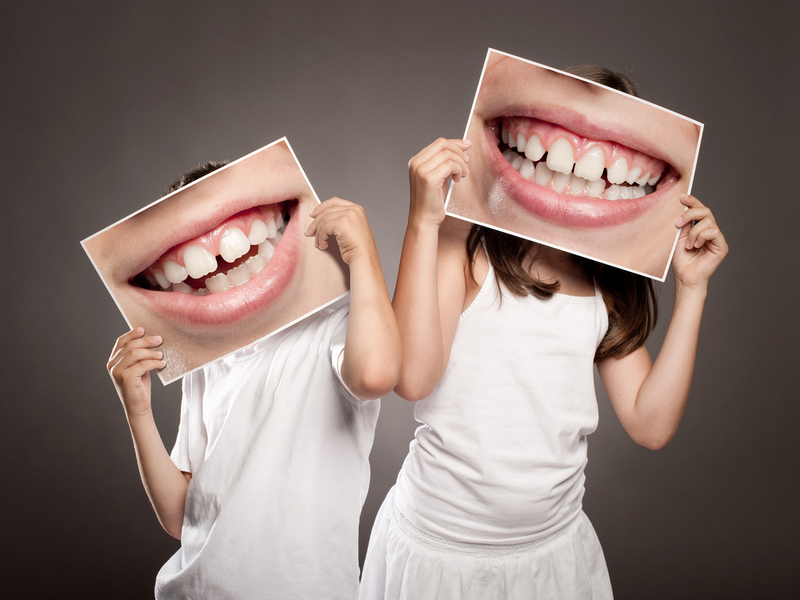 We can answer your questions and teach your kids about good oral hygiene. Call us at 403-289-7370 today or contact us online . ← Say Cheese: What Does Your Smile Say About You? Abougoush Family Dental Care presents several pertinent blog topics to help our patients in the Calgary area practice better oral hygiene. Browse our blogs posted below and feel free to contact our office with any questions you may have or to schedule your next dental appointment! ©2019 Abougoush Family Dental Care. All Rights Reserved. Legal.